Modification is unique because it allows you to print the image (.jpg, .png) directly on the map! Just create a picture or download it from the internet and print in the game. 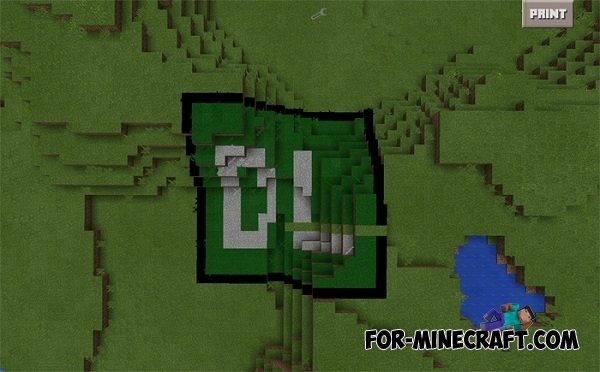 All pictures can be printed only on the ground, where there are grass blocks. Find the image and download it, or create. Make sure that the mod is installed! Click on the Print button in the upper-right corner and select FILES. Find the image and click Start. The image will be printed next to you. And it's really cool! 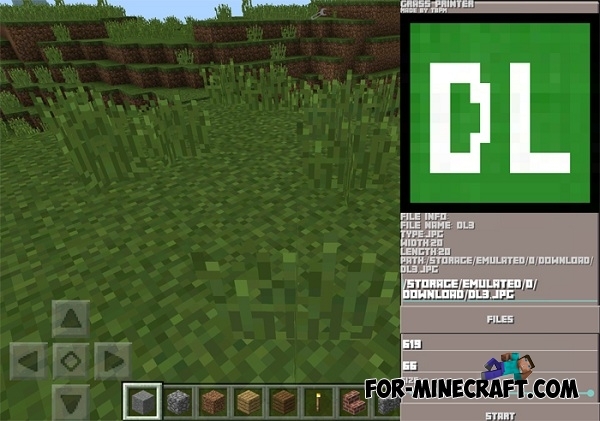 Use ES File Explorer or another file browser to copy the font minecraft.ttf in /storage/emulated/0/games/com.mojang/minecraftpe/mods/. If this folder does not exist, create it. Open BlockLauncher and install the mod.